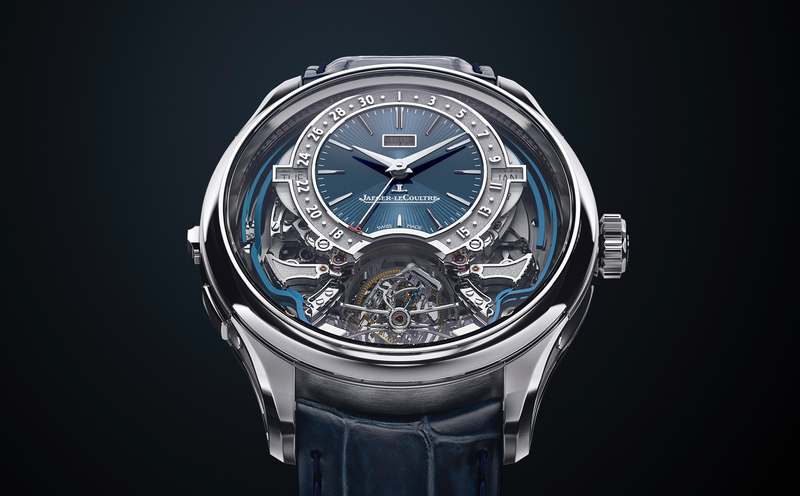 The new Jaeger LeCoultre Hybris Mechanica à Grande Sonnerie, the world’s most complicated wristwatch. What makes it so complicated? The number of complications (also called functions) it has. 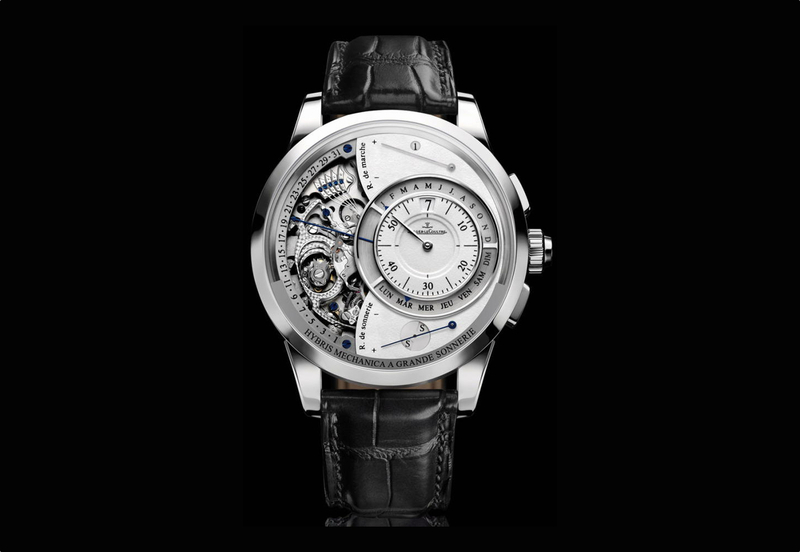 Here is a partial list: Westminster Chimes, Grande Sonnerie, Petit Sonnerie, silent mode, minute repeater, flying tourbillon, perpetual calendar, instantaneous jumping digital hours, minutes, days retrograde, months retrograde, date retrograde, display of the leap year, inertia blocking; tone power reserve, mainspring power reserve, time setting in steps of one hour and minute by one minute jumps, clockwise and counterclockwise. There are actually 26 in total. The Hybris Mechanica Grande Sonnerie is powered by the Jaeger LeCoultre Calibre 182 movement, with 26 complications and over 1300 parts. 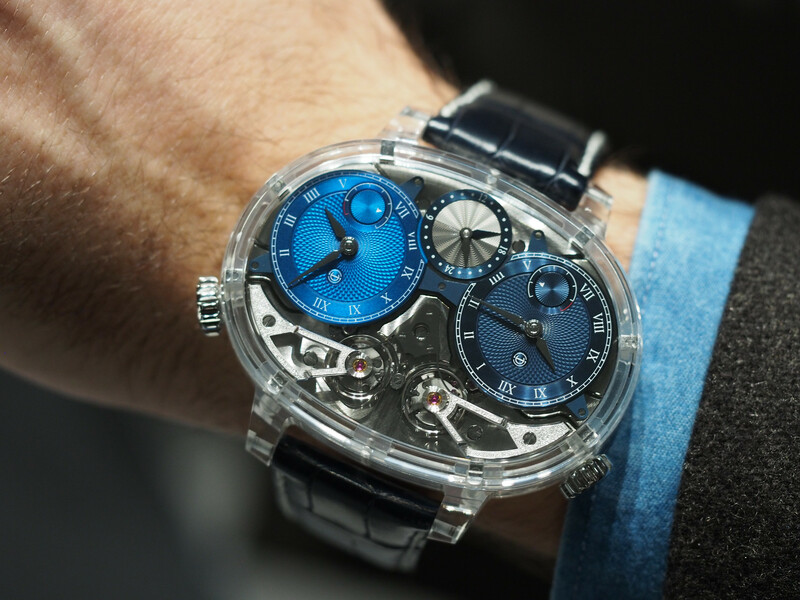 The movement is housed in a 44mm by 15mm 18k white gold case. The last two “world’s most complicated watches” were the Patek Philippe Calibre 89 which boasted 24 complications and cost $6 million, and the Franck Muller Aeternitas Mega that had 25 complications and cost $1 million. Soon these watches will be surpassed by the Hybris Mechanica Grande Sonnerie and its many complications. 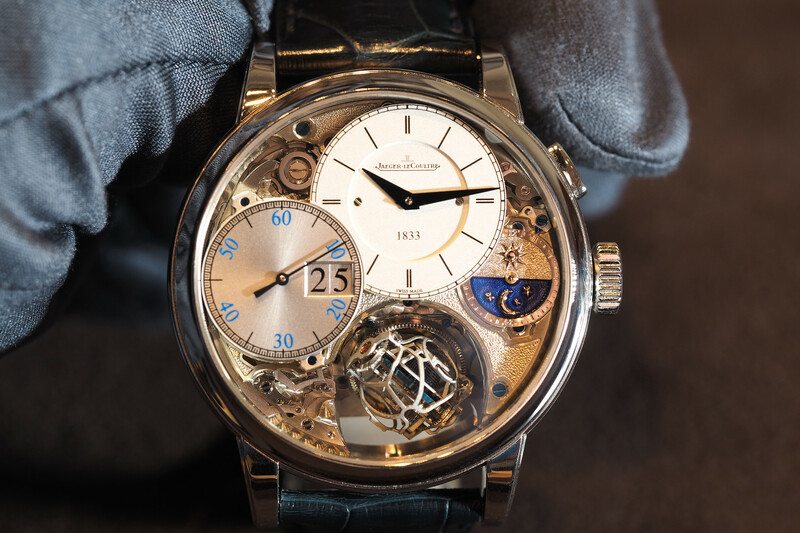 If this is not complicated enough, then add in the other 29 complications from the Jaeger-LeCoultre Gyrotourbillon and the Reverso a Tryptique – all three watches are included in this ultra exclusive collector’s set. A 1800lb Doettling safe is also included. Retail is estimated to be around $2.5 million and only 30 sets will be available worldwide.